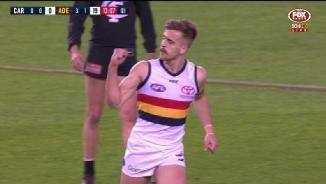 Gallucci’s strong SANFL form was rewarded with an AFL debut against the Brisbane Lions in Round Nine. 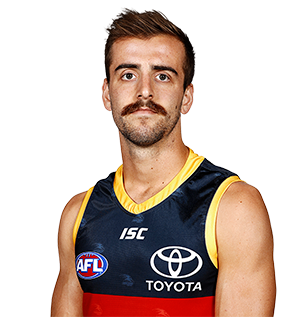 The line-breaking midfielder/half-forward played 17 State League games in his first season of senior football, averaging 16 disposals, five tackles, four inside 50ms and three clearances. He amassed an equal-season high 24 possessions against the Port Magpies in Round Four and 12 and kicked two goals on three separate occasions. Missed the last month of the season with a fractured jaw that required surgery. Selected with Adelaide’s first pick at the 2016 National Draft, Gallucci is a ball-carrying midfielder who excels at breaking lines with his lightning pace. 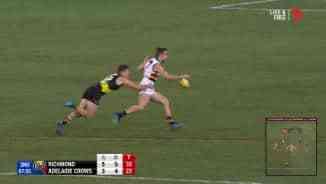 The former volleyballer displayed his pure athleticism at the AFL Draft Combine, breaking the standing vertical jump record while also winning the repeat sprint test and placing in the top 10 for the running vertical jump and beep test. The Eastern Ranges product has the versatility to play anywhere on the ground and is a proven leader, co-captaining Vic Metro to the title at the Under-18 National Championships. Professional, driven and eager to improve.